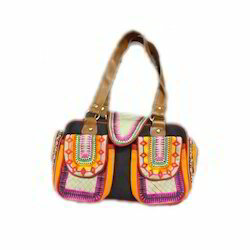 Offering you a complete choice of products which include fabric bag and embroidered fabric bag. To suit the varying expectations of the packaging industry, we are offering an extensive range of Fabric Bag to our clients. Keeping in mind the variegated demands of our clients, provided bag is designed using optimum grade fabric and ultra-modern technology. Capable of carrying heavy loads, offered bag is availed in different designs and other allied specifications, to fulfil the requirements of our prestigious clients. Being a well-established organization, we are engaged in supplying a distinguished range of Embroidered Fabric Bag. Offered bag is crafted in line with the latest industry standards using the best quality fabric and advanced technology by our adept professionals. Our quality controllers test this bag against various quality parameters in order to ensure its flawlessness. 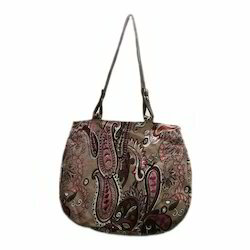 The offered bag is extensively used for shopping purpose. Looking for Fabric Bags ?